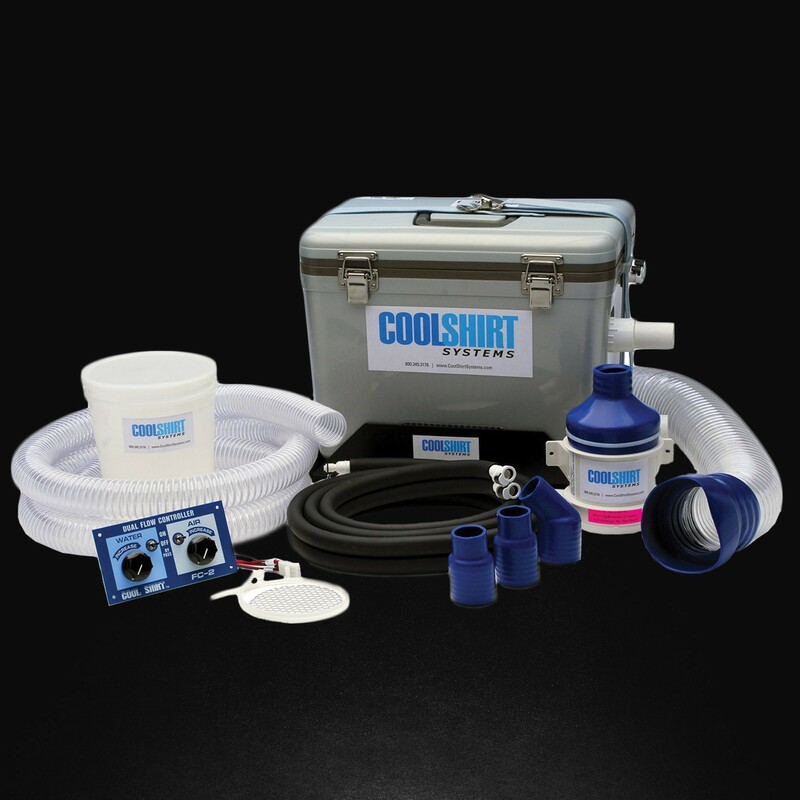 Cool Shirt Pro Air & Water System - Used by drivers in all levels of racing, this system promises the ultimate in driver cooling comfort. It provides temperature-controlled cooled water to the driver's Cooling Shirt and cooled filtered hair to the helmet. 2,5 mt of double water hose with automatic shutoff/quick disconnects attach the shirt to the unit, and the dual temperature control switch allows the user to regulate the flow of air and water for personal comforts based on external temperature variation.